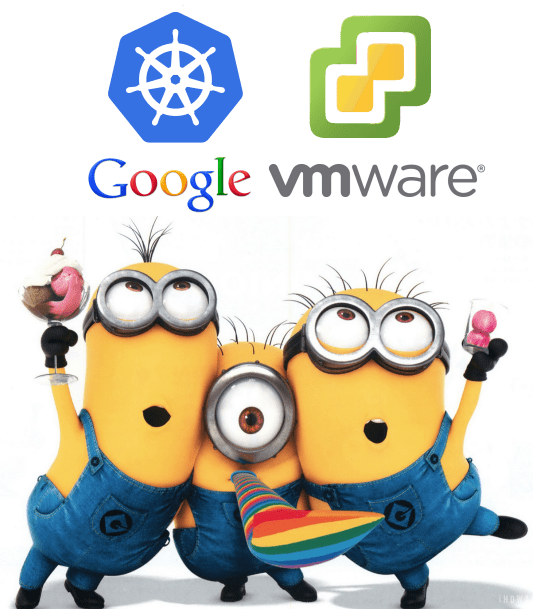 You are here: Home / Automation / How to deploy a Kubernetes Cluster on vSphere? –> msg = “A specified parameter was not correct. It will be very helpful if you can provide the necessary help. I’ve just ran into this same problem, also on 5.1 and no easy way to get it upgraded. 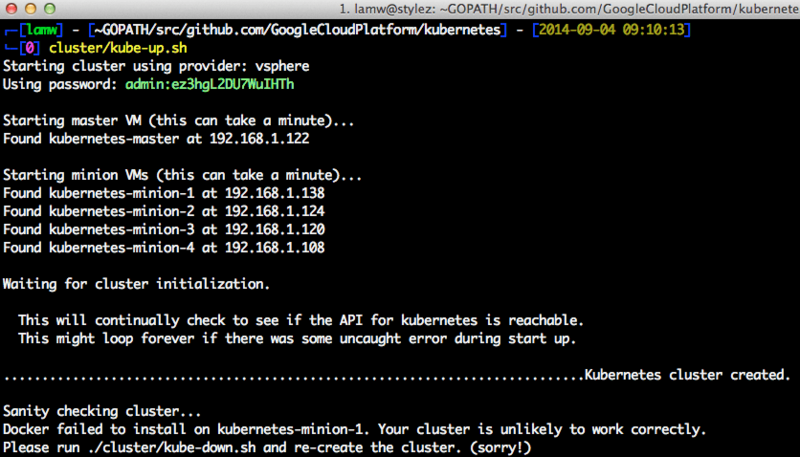 I found the problem is simply that the Kubernetes scripts are trying to create VM’s as type ‘debian7_64Guest’ and this version of vSphere doesn’t like that. I just edited the ‘cluster/vsphere/config-default.sh’ script to use ‘debian6_64Guest’ instead and I don’t get the error anymore. Hi, same error but changing to debian 6 makes no difference, this is on ESXI 6.0, any clue? Anyone find a resolution to this issue? Hi, thanks for taking the time to write up this tutorial. I have been able to get up to executing the relaase.sh script. 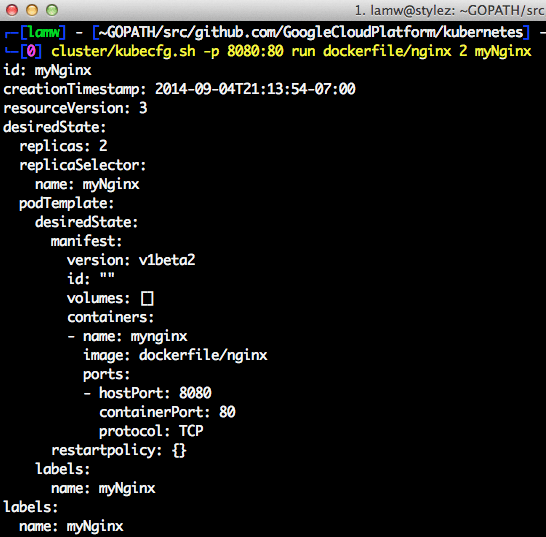 However my version of kubernetes didn’t have the script in release/, but in build/. I ran it, but needed to do it with sudo on my machine, because my user could not connect to the docker machine. When I ran it with sudo, the build succeeded. I have imported kube.vmdk in my datastore. I have not been able to find any hints by searching online. Do you have an idea I could try? Error: An error occurred during host configuration. I get the point of after uploading the kube.vmdk and building the binaries. After that I have a bad time. Thanks for the great post William! However, my deployment fails… any ideas why? This may take several minutes. Bound to 60 attempts…. sudo salt “kubernetes-master” state.highstate -t 30 | grep -E “Failed:[[:space:]]+0” failed to start on 10.0.30.150. Your cluster is unlikely to work correctly. You may have to debug it by logging in. Did you managed to solve that? I’m new with Kubernetes, I’ve tried to follow your instructions but I didn’t understand where should I need to declare the env_var in order that the vmdk upload to the datastore will use these parameters? First of all I am new to kubernetes. I want to deploy kubernetes on my VMware environment where I have 40 datacenter/cluster (spread across USA) each site having their own separate subnet and such, everything runs off of one vCenter server (in central location). Would I be able to take your above step and deploy production kubernetes cluster? Also would I be able to make 3 master/minion (together) on same VM to save resources? Also is there a recommendation on other components (etcd, controll manager etc) tie to kubernetes somewhere?